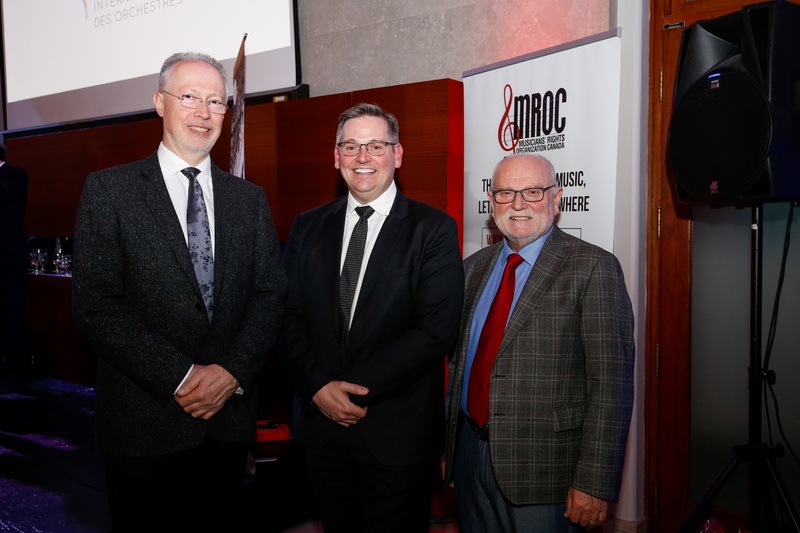 On 11 May 2017, the International Federation of Musicians (FIM), which represents professional musicians and their trade unions in more than 60 countries, awarded the newly created FIM Airline of Choice award to Air Canada. 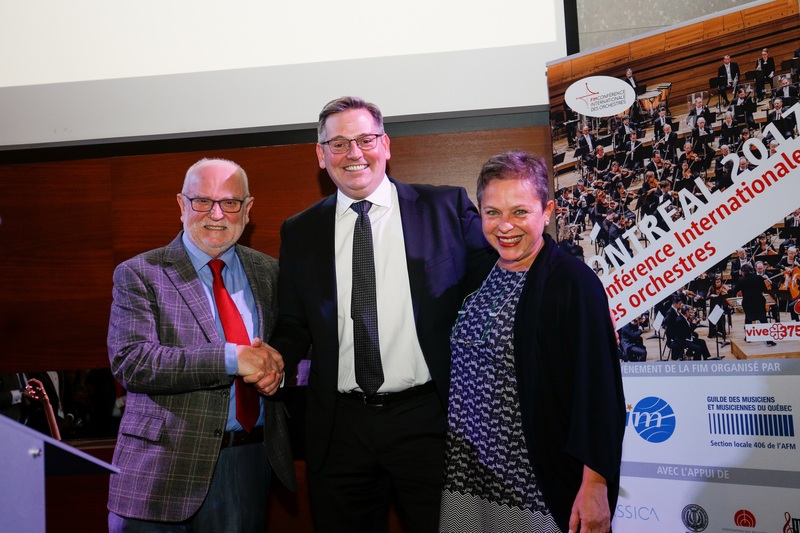 The ceremony took place during the opening evening of the 4th FIM International Orchestra Conference hosted in Montreal by the Quebec Musicians Guild (local 406 of the AFM). FIM and its member unions have been campaigning for several years with the aim of improving airlines’ policies so that musicians traveling with their instrument are treated fairly and are fully informed about regulations governing the transportation of musical instruments. The international jury set-up by FIM established that the Canadian company was clearly ahead of its competitors in this respect. “The Canadian Federation of Musicians has been working with our airlines for some time”, said AFM Vice President from Canada Alan Willaert. “We are very pleased that Air Canada listened, and has taken steps to greatly enhance the travel experience for musicians and their very valuable tools of trade." The FIM Airline of Choice award 2017 was received on behalf of Air Canada by Senior Vice President Mr Craig Landry, in the presence of 200 international FIM delegates.